As reports have emerged of an Apple media event in New York City later this month, one insider has claimed that the event will feature industry-related announcements for publishers about the iBookstore platform. TechCrunch reported on Monday that a source had independently confirmed plans for the end-of-January event, which was first noted by All Things D.
"According to the source the event will not involve any hardware at all and instead will focus on publishing and eBooks (sold through Apples iBooks platform) rather than iAds," report author Alexia Tsotsis wrote, adding that attendance would be "more publishing industry-oriented than consumer-focused." The tipster also said Apple would take the wraps off of new improvements to its iBooks platform at the event, though the source described the announcement as not "major." Given that the original report had claimed that Apple Senior Vice President of Internet Software and Services Eddy Cue will play a part in the event, speculation had arisen that the event would be related to either advertising or publishing. 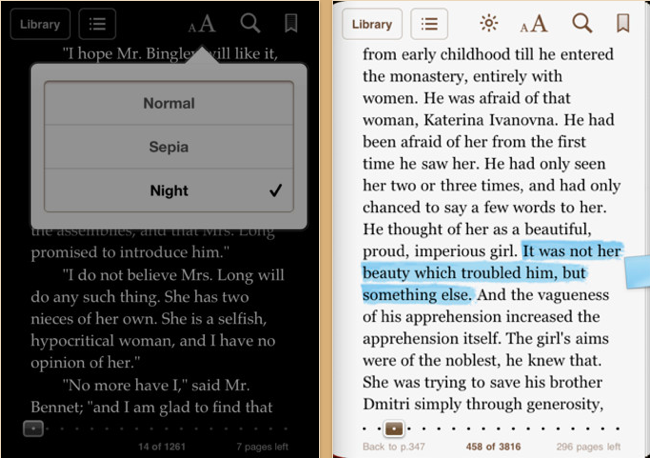 Apple made minor improvements to the iBooks app last month with the release of version 1.5. The updated software added a night reading theme, full-screen mode and new fonts. The Cupertino, Calif., company has faced an uphill climb against Amazon's Kindle platform, which got an early head start on ebook sales. Amazon revealed late last month that it sold "well over 1 million" Kindle devices each week throughout December. In addition, Christmas Day represented the biggest day ever for Kindle book downloads. Last November, Amazon branched out from its e-ink-based e-readers to tackle Apple's iPad in the tablet market with the 7-inch Kindle Fire. Initial sales of the Fire will likely have propelled the device to take second place among tablets in the fourth quarter, behind only the iPad. However, Apple executives have said they are not worried about the Kindle Fire, as they believe it will actually drive customers to iOS in the long term.